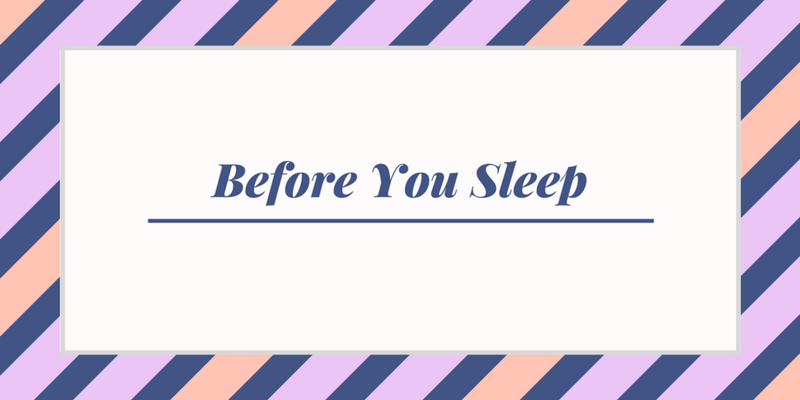 Airplanes can be awkward, especially for your nighttime beauty routine. I will be boarding the longest flight I've ever taken this Thursday. Preparing for it has been quite the adventure but also going over how to ensure I end up on the other side with bomb skin is also key. 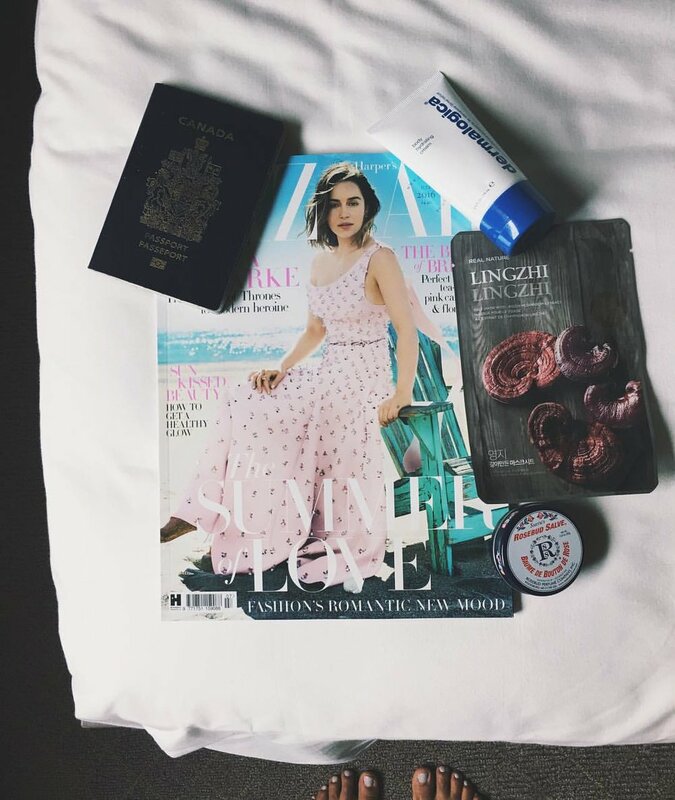 After learning how to take care of my skin and keep it hydrated on and off of flights, here are some of my favourite Overnight Flight Carry on Beauty Essentials. Olay Daily Facials Daily Clean 4-in-1 Water Activated Cleansing Cloths Thanks for the recommendation Priya! I would never have thought about packing these. Instead of hauling a facial wash and ensuring it fits the regulation size and then trying to get it to lather then wash it off...Instead, I'll just use these facial cloths! Get them a little wet and take off the little makeup I put on for the journey. The Face Shop Real Nature Mask Every blogger and vlogger recommends using a sheet mask on the plane. If you thought I'd be different, boop! I tried a few of The Face Shop's masks in the past and I found my skin was extra hydrated for a few days. This Shea Butter option will provide super-penetration into your skin especially at the high altitude during the flight. L'Occitane Shea Butter Hand Cream I always carried hand cream in my large purses because one of my biggest pet peeves was dry hands. I find that this thick and creamy formula works well when I'm about to go to sleep. While it feels a bit greasy for a few minutes, I find that my skin just really sucked it up and felt super soft the next day. Rosebud Lip Balm I absolutely loved using this lip balm on my last trip to the UK. I kept it in my pocket for safe keeping to apply as I flew. While I usually go for stick balms where I don't have to put my finger into it (ick international germs), my solution: I just press the full balm to my lips and give it a twist. Instant hydration! Carry Clean Travel Sonic Toothbrush I haven't used an electric toothbrush in years, let alone brought it with me on a plane! However, this baby deserves a shout out. It's battery powered and the size of an average toothbrush (which I bring travelling with me anyways). I get super lazy on the plane and begrudgingly brush my teeth. This time it'll be a little easier. NIVEA Moisturizing Night Care My combination skin wasn't a fan of the long non-stop trip from London to Toronto last year. This time around I'll be sure to bring along a very heavy night cream (which I will transfer into a smaller container for transport). After finishing my nighttime beauty routine (either on the plane or before boarding) I'll add some of this heavy cream and drift into a peaceful sleep. NIVEA Q10 Plus Anti-Wrinkle Day Care SPF30 After flying don't you feel like you've aged a bit? I added this baby to my airplane beauty regimen when I learned it was packed with anti-aging properties including Q10, Creatine and SPF 30 protection. Like my other moisturizers I'll add this into a travel container and keep the full sized version in my checked luggage. If you find that your under eyes look a little rough or your lips are pretty dry in the morning, slap one of these masks on! Sure you might look a little weird, but no one ever said beauty was easy. Maybelline New York Superstay Better Skin Concealer While I haven't travelled with a full-face of makeup, I've liked to have some concealer on hand. Travelling can be taxing on the under eyes especially if I don't get a restful sleep. Before I land I like to just quickly apply a bit of concealer to look a bit more alive. Dermablend Loose Setting Powder Original The lineup at immigration when I have arrived at my destinations have been long and left me tired. Loose setting powder has kept my makeup in place no matter how many lines I've gotten stuck in. Dermablend's version is a life saver. Honourable mention: A water bottle! One of the most important things to do on flights is to stay hydrated. I don't like to drink the water offered to me on planes (unless it comes straight out of a bottle that I've watched the flight attendant pour out of) so I usually grab an overpriced 1L bottle on the way to my gate. Did I miss anything? Let me know what your overnight carry-on beauty essentials are in the comments below!